The Strictly Come Dancing Live Tour is back and if you are longing to see winner Jay McGuiness perform his perfect Pulp Fiction jive again with partner Aliona Vilani - this is the place to come. That scintillating routine is just one of many highlights as the razzle dazzle crossed from behind the television screen and into Barclaycard Arena in Birmingham for the opening night of the 2016 tour. The secret weapon of this tour, however, is new presenter and master of ceremonies Mel Giedroyc - better known for presenting the Great British Bake Off with Sue Perkins. She is a hilarious breath of fresh air and excels with her ad-libbing when interviewing each of the contestants. She's also got a lovely frison with the judges, especially Len, who gives her a dance masterclass. Bursting out of a cake at the start of the show, she goes on to compare each judge to a baked good (Len is obviously a pickled walnut cake) and cracks a great punchline that after getting to land this job on the Strictly Tour, she's the jammy tart. There's plenty more of that to come and her fascination with Gleb's chest is so funny, you'll be crying with laughter. The contestants each take two turns on the dancefloor with their most memorable routines and joining Jay and Aliona in the line-up include runners-up Georgia May Foote and Giovanni Pernice, who everyone seems keen to watch with news of their off-screen romance. They open the show with the charleston set to Cabaret and later perform a romantic American Smooth to Whitney Houston's Run To You. But it was Anita Rani and heartthrob Gleb Savchenko that surprisingly brought the most cheers (and heat) with flamboyant, theatrical performances and the chance to see Gleb's bare chest at every opportunity. Their fiery Spanish paso was pure theatre while a passionate Ghost adaptation to an American Smooth, with Gleb crawling like a "rampant crab" over Anita, raised the roof. Women were literally banging their feet on the ground demanding a 10 from Craig Revel Horwood (he didn't). Meanwhile, providing a comedy element to the Strictly Come Dancing Live Tour is likeable Ainsley Harriott, who would normally dance with partner Natalie Lowe but she was injured for opening night, so he teamed up with popular Karen Clifton instead. Helen George and Aljaz Skorjanec are a solid and impressive dance team, and there are also previous series celebrities of Frankie Bridge, dancing with Kevin Clifton, and 'snake hips' Jake Wood, back with his dance partner Janette Manrara. Well-liked Joanne Clifton also appears for glitzy performances with the show dancers. All of the contestants get the chance to still win the glitterball as the audience vote for their favourites on each night of the tour. Jay and Aliona won on Birmingham's first night and it's going to be hard to beat them after everyone sees their jive. It's saved until the end and it's a remarkable piece of dancing worth waiting for. 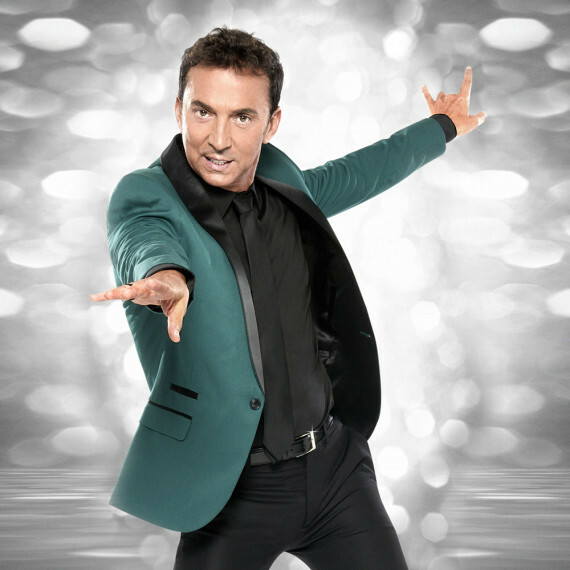 There's plenty of 10s being thrown about though and hilarious fun with judges Len Goodman, Craig Revel Horwood and Bruno Tonioli, whose personalities shine as brightly as the multitude of glitterballs hanging around the arena. They are the pantomime dames of the evening in a child-friendly show packed with fun, glitter and superb dancing. On top of that, the crowd is treated to some spectacular showpieces by the professional dancers and there is excellent live music and singing too. Singers Tommy Blaize, Andrea Grant, Lincoln Jean-Marie and Hayley Sanderson excel themselves. The band is on form too and led by Allan Rodgers, not Dave Arch. It's nearly three hours of entertainment and for those who watch and love the TV show, this has to be a perfect 10. 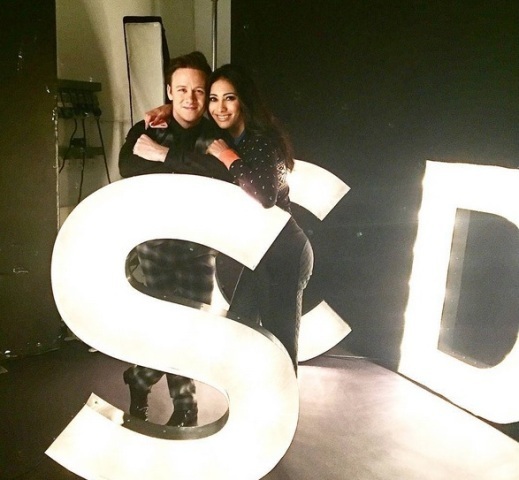 Strictly Come Dancing - The Live Tour continues on its 30-date extravaganza across the country to cities including Manchester, Leeds and London until February 12. More details on the Strictly Come Dancing Live Tour are here on Weekend Notes. Well spotted!! Had a Tarantino moment. We'll get that updated.